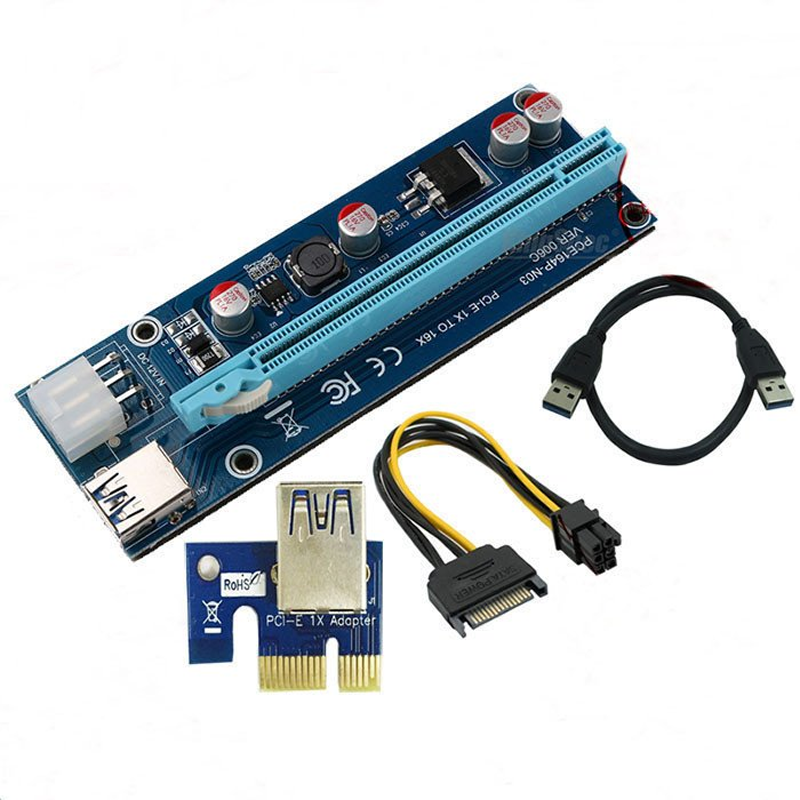 BLUE Version 6c server quality PCI-e Powered Riser with USB 3.0 cable. This riser has a 6 PIN PCI-e connection and extra capacitors to handle the high power requirements of modern mining rigs. Advanced version. VERY STABLE. One of the most popular riser models used by large-scale mining farms. Very advanced and stable riser version. 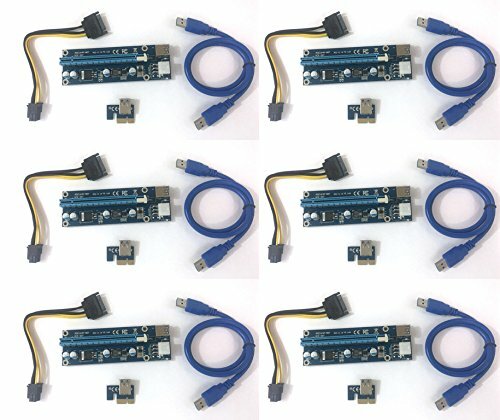 These have a 6 pin PCI-e connector instead of MOLEX for higher power usage. Brand New in anti-static bag. 60 cm / 24 inch USB 3.0 cable with plenty of length for spacing out your GPUs for maximum airflow. THIS ITEM IS NOT FOR LAPTOPS! It does not use standard USB. It requires the PCIe slot/adapter card. Make sure you’re buying the best quality risers to protect your expensive GPUs. Ribbon cables and first generation PCI-e risers are dangerous. QUALITY riser. This version has been successful for well over a year. 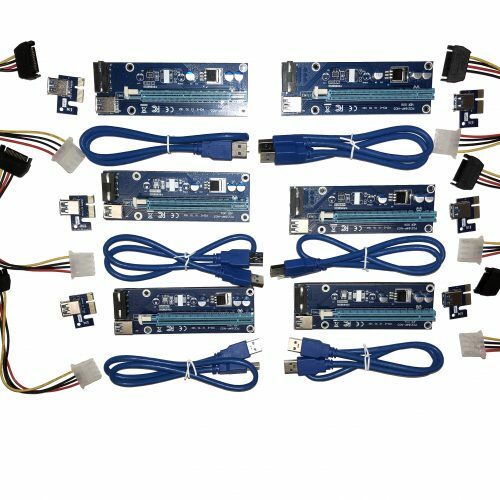 These are designed especially for mining cryptocurrency like: Ethereum, Expanse, Litecoin, Dogecoin, Bitcoin, Monero, Siacoin, Dcred, Zcash, Library etc. We import only the best quality PCI-e extenders. We’ve tried 5 separate vendors to find the best vendor for you. Order with confidence. Fast shipping from Texas and Mississippi, USA! Start mining faster!